My youth was spent in the heart of the wild Rockies of Northwest Montana. An early interest was sparked, roughly 35 years ago, upon fulfilling my first big game tag. 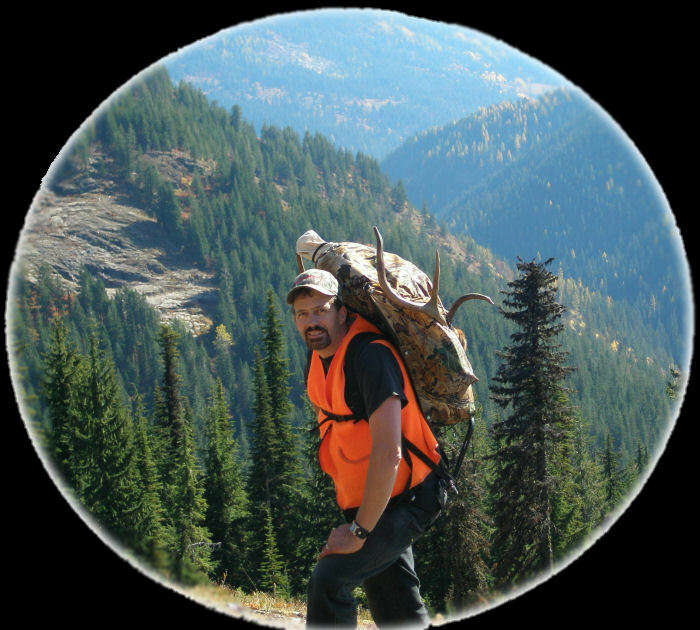 I became avid in hunting, fishing, hiking, and the outdoors. A strong desire to express my appreciation in God’s creatures had begun my initial hobby in producing custom panels for antler plaque mounts of my own deer and elk. In the years to come, my plaque mounts progressed into bear rugs and shoulder mounts. 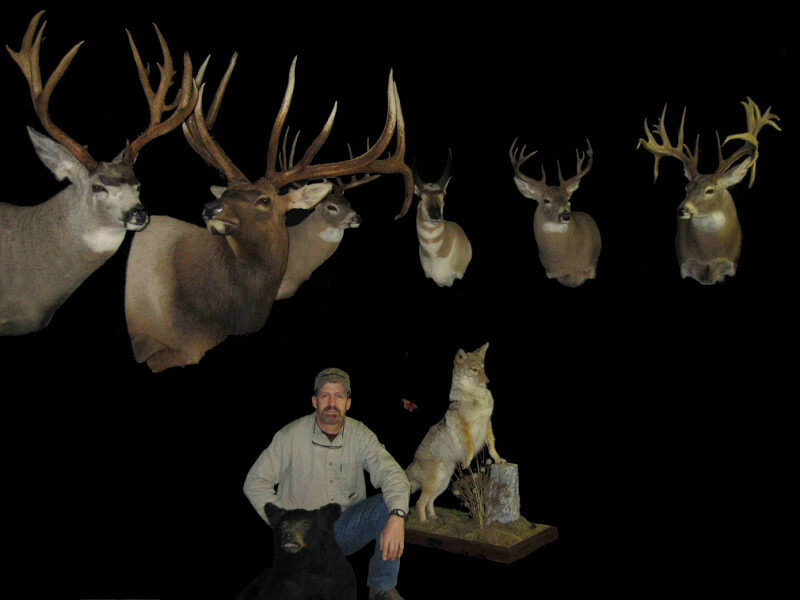 My hunting and wildlife passion became an obsession. Each spare moment was spent critiquing my work as well as the works of others. Close taxidermy friends lent a helping hand in expanding my early career knowledge. I learned, and obtained an eye for each animal’s unique, amazing, and individual characteristics. Now, my trained eye for patterns and clean lines demands perfection. My goal is to recreate a life-like, realistic view of each animal. These animals do not leave my facility until they are recreated to be as close to as in the wild as possible. 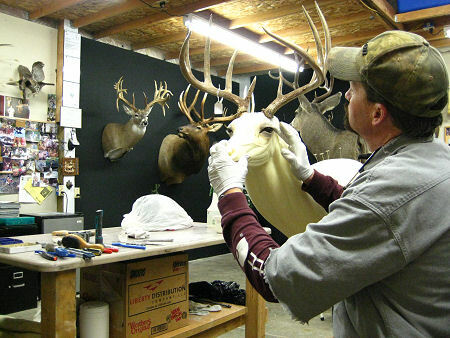 I attended a formal big game taxidermy school. My taxidermy experience has now been strong and thriving for years. The spectrums of recreations vary from trophy deer to wild sheep and big bulls to badgers. I use materials and forms from well known taxidermy supply companies. Forms are altered and enhanced for custom fits for that incredible life-like look.